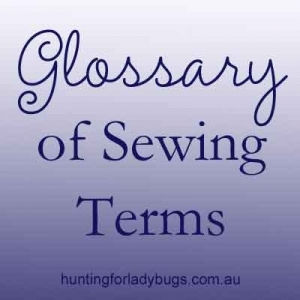 Always backstitch at the beginning and end of your sewing. 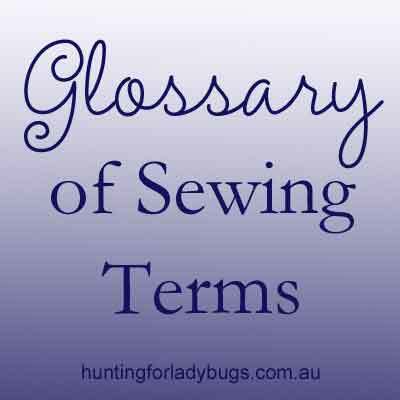 To make a backstitch, sew two stitches forwards then two in reverse and then carry on stitching forward to the end of your seam. A backstitch will anchor the threads of your seam and not allow the layers of fabric to be pulled apart. Your iron is an important sewing tool. Most seams really do benefit from a good press once sewn. Use more of a lift and press motion rather than pushing or driving along the fabric. A hot, dry iron will work well on quilting cotton, cooler settings for interfacing and synthetics. I also look for one that doesn’t beep when left on for long periods (I really don’t need any more nagging household appliances than necessary!). Pressing a seam open means to press each side of seam allowance back down onto the main body of fabric. This helps to reduce bulk or gives a nice sharp edge when pressed together again in a later step. The printed side of the fabric, or the ridged side of the corduroy. It’s the side you’d like facing out to the world. The back side of the fabric or side you’ll have against your body if you’re sewing clothing. It can be hard to tell which is which on some fabrics I write WS in chalk on a discreet place on each fabric piece to make sure I get things sewn up correctly. Place the two printed sides of fabric together and sew with the wrong or back sides facing out at you. This means your seam will be on the inside when you turn your project right sides out once sewing is completed. I’ve written a whole post about seam allowances here. Most patterns should give you the included seam allowance. For example, the drawstring bag kit has a ½”/12mm seam allowance unless otherwise stated. This means you align the edge of your fabric with the first little line on your needle plate (or ½” across from your needle position). Your line of stitching will be nice and straight and a consistent ½” distance from the edge. When I first learnt to cross-stitch, my aim is to make the reverse side of your work as neat as the front. Snipping your thread tails as you go is important as they are easily tangled in later lines of stitches causing no end of headaches.